Well, I figured out how to add video, so now there are two to look at - one of them in the left sidebar and one on the TAL page. If anyone knows how to add an mp3 to a blog - tell me! Hey Ginger, I've been thinking of you lately (we were in Napa last weekend) and now I have found you again! I may be able to help you with the MP3, but I'll have to research this in my off-work time. Santa Rosa Area Music Together! The First Video Above . . .
... is from a TAL house concert in New Hampshire, June 2010. I wrote "Stories" for my mom. The video is pretty rough and scratchy, but the love is there! The second video is another song of mine, "I Wish," from a Comcast "Battle of the Bands" performance in 2009. The song was just brand new then. Welcome! 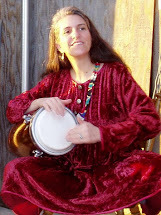 I'm Ginger Parish, Singer/ Songwriter, founding member of the Indie Folk/Americana trio Three At Last, and Director of Santa Rosa Area Music Together. I'm currently working on a CD of lullabies, mostly original. It's a work I have dreamed of doing for a long time! I will post current news about the lullaby project as I have it. Please look at the pages at the top for more on Three At Last (now disbanded), Music Together classes, and other stuff. I have never had all my musical pursuits in one place before! 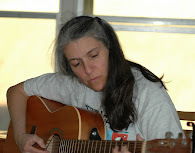 I plan to use this blog to keep updating my musical projects. Thanks for visiting! © 2011. Awesome Inc. theme. Theme images by Ollustrator. Powered by Blogger.